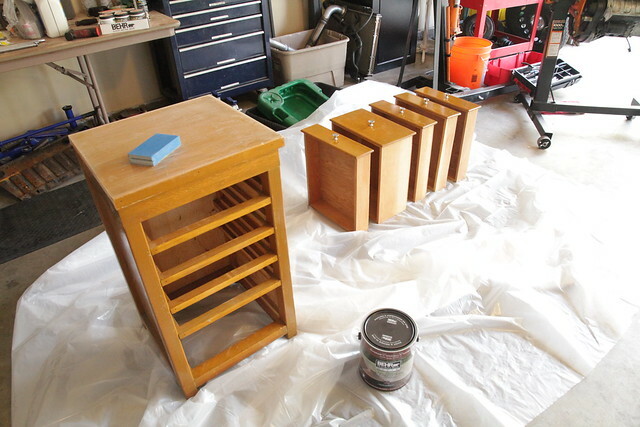 Two weekends ago I began work on painting the guest bedroom nightstand. I gradually worked on it each night throughout last week, and by Sunday morning it was back in the guest room. As I mentioned previously, the nightstand was left by the previous homeowners in the garage. Rather than toss it out or donate it, I hung onto to it with the intention of painting it. I started the process by removing all the hardware and sanding the surfaces for painting with a fine grain sanding block. After sanding I wiped down the surfaces with some basic surface cleaner. Next I began the painting. First, I painted the frame with Behr’s Premium Plus Ultra Interior Eggshell Enamel in Ultra Pure White. 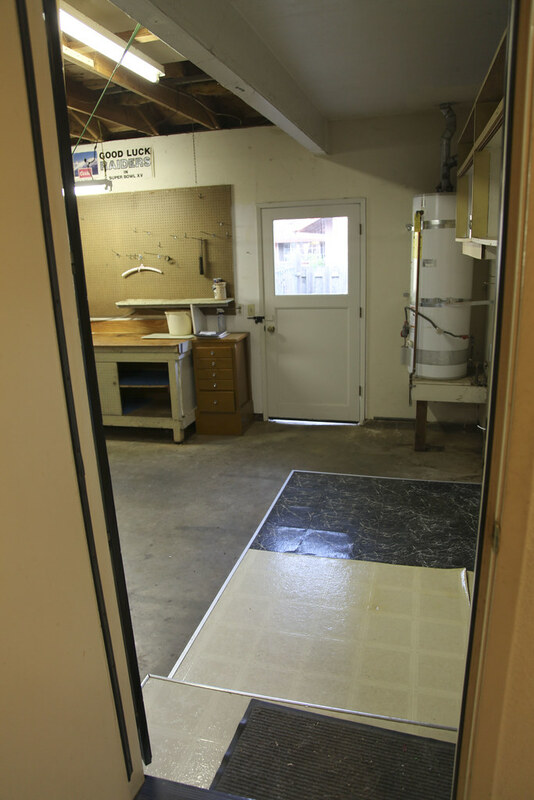 I did one coat per day so it really had a chance to stick and did three coats total. For the drawers, I got sample size pots of the following Behr colors: Subtle Touch, Gentle Rain, Porpoise, Creek Bend, and Amazon Stone. 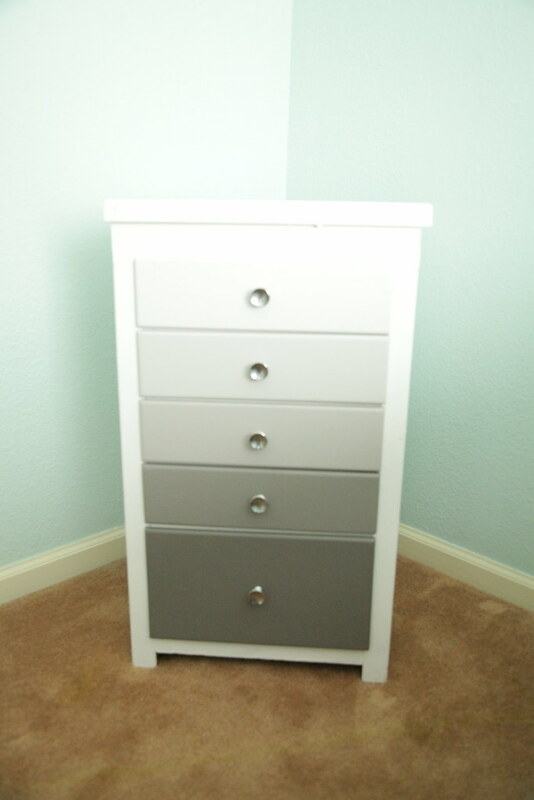 I did three coats on each drawer using a foam paint brush. Although I had a $100 in Home Depot giftcards to spend on the project, here’s the cost of materials. It turned out great! This is one of the best under $50 DIYs I’ve seen in a while. It looks fantastic! 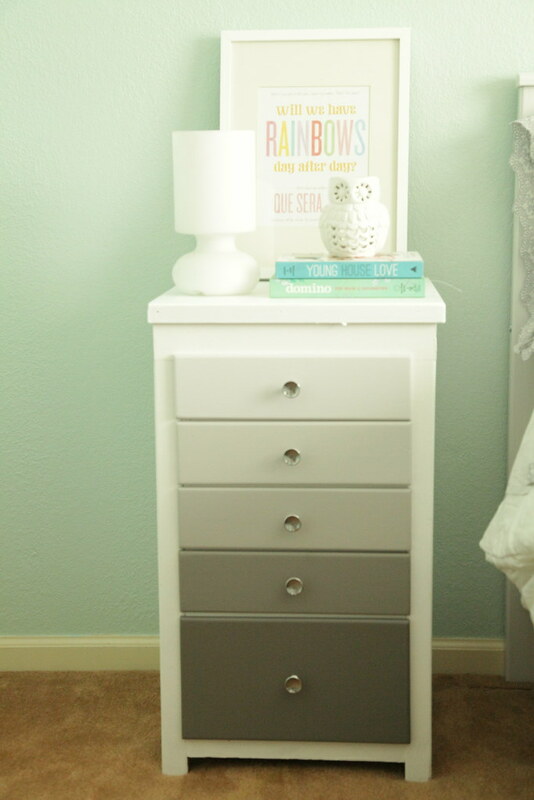 I have been dying to do an ombre nightstand or dresser – yours happens to have drawers in the perfect sizes for it.